THIS TERMS OF SERVICE CONTAINS IMPORTANT TERMS, CONDITIONS, ALLOCATIONS OF RISK BETWEEN CUSTOMER AND COMPANY, AND LIMITATIONS OF OUR’S LIABILITY (AND OUR’S SERVICE PROVIDERS’ LIABILITY) TO YOU THAT WE WANT YOU TO KNOW ABOUT AND APPLIES TO ALL OF PAST, PRESENT, AND FUTURE USE OF YOUR DEVICE AND THE SERVICES, UNTIL MODIFIED OR REPLACED BY NEW TERMS AND CONDITIONS. It is effective when you and/ or your organization or corporation (the “CUSTOMER” or “YOU”) (1) have a Device installed and activated for use; (2) log onto our web site (where a link to this Agreement appears) and acknowledge this Agreement, i.e., by signing the order form; (3) use the Services; (4) purchase more Services; or (5) accept, at any time, any of the benefits of the Services. Besides you and us, only the following entities and their respective corporate affiliates, successors, and assigns are intended beneficiaries of this Agreement: our service providers, including (1) Infinite Intelligence, Inc., RollingTrans and its corporate affiliates, certain of whose products and services we use and/or resell or distribute in connection with this Agreement, and (2) the cellular and satellite telecommunications carriers whose services are used in connection with this Agreement. This Agreement is not intended to give anyone else a right, remedy, or claim of any kind against you or us. Note: Your Device is covered by a Limited Product Warranty that is separate from this Agreement. SUBJECT ONLY TO THE LIMITATIONS IMPOSED UPON US BY OUR SERVICE PROVIDERS OR APPLICABLE LAW, WE HAVE THE RIGHT, AT OUR SOLE DISCRETION, TO MODIFY THIS AGREEMENT AND THE SERVICES AT ANY TIME, WHICH INCLUDES (WITHOUT LIMITATION) THE RIGHT TO SUSPEND THE SERVICES. CHANGES TO THE AGREEMENT WILL BE POSTED ON OUR WEB SITE, WHICH YOU AGREE TO VISIT REGULARLY, OR MAY BE SENT TO YOU VIA E-MAIL OR POSTAL MAIL. YOUR CONTINUED ACCESS OF OUR WEB SITE AND USE OF THE SERVICES FOLLOWING POSTED NOTICES OF CHANGES MEANS THAT YOU HAVE ACCEPTED AND ARE BOUND BY THOSE CHANGES. 1.1 License. Subject to the terms and conditions of this Agreement, and in consideration of Customer’s payment of all Fees, Company grants to Customer (and Customer agrees to comply with) a non-sub licensable, non-transferable, non-exclusive, terminable, limited License for the Term of Service to use the Products and Services specified in the Order Confirmation Form. Customer must purchase a separate license for each Web Services Interface. 1.2 License Restrictions. In no event will Customer use or reproduce any Image via copy, screenshot, or image copy software for purposes of display on a public-facing website, brochure, or similar material without express written permission of Company. Rights not expressly granted by this Agreement are reserved by Company. Customer purchases a License only. Company retains title to the Software and Documentation and any copies thereof, including the originals provided with this Agreement. All Product and Services pricing and descriptions are set forth in the Order Form. 1.3 Account Limited. For each vehicle account established by Customer, the Company will provide up to two driver’s accounts. For any additional driver accounts, the Company will charge an additional fee. 2.1.1 Termination Without Cause by Customer. This Agreement may be terminated by Customer after the Initial Term without cause, by providing written notice to the other party at least thirty (30) days prior to termination. 2.1.2 Termination for Cause by Customer. This Agreement shall be immediately and automatically terminated if it is determined that the Company would be prohibited form doing business with the Customer under any applicable law, including any regulations and controls. Any actions by Customer which cause, or in the reasonable belief of the Company are likely to cause: substantial harm to the Company’s business, goodwill or reputation to the Designated Accounts or elsewhere; or substantial harm to Customer’s goodwill or reputation, unless such actions have been cured by Customer, or Customer is diligently pursuing the cure, within ten (10) days following receipt of written notice from the Company demanding such cure. 2.1.4 Effects of Termination and cancellation. Upon the termination of this Agreement, (a) all rights and privileges granted to Customer shall immediately cease and terminate, and Customer shall thereupon discontinue forever the use of the Service; (b) any amounts owed by Customer to the Company, whether pursuant to the terms of this Agreement or otherwise, shall continue to become due and payable in accordance with the terms and conditions set forth herein. Except for month-to-month customers, a cancellation fee will apply to each account of service if you do not maintain your agreed-upon services through the end of your term for that account of service. In the event of cancellation or reduction of accounts or units by Customer before the expiration of the contract term, Customer agrees to pay a contract cancellation fee equal to the number of cancelled accounts or units under contract multiplied by the monthly service fee multiplied by months remaining on contract. In the event that you have paid for Premium Services, and we terminate your Account in our own discretion with no fault of your own, we will refund you a proportionate amount of the fees paid for the Premium Services for the time from which we terminated your Account to the end of the then-current payment period. Cancellation after the end of contract term shall be made in writing from the customer to the Company not less than thirty (30) days in advance of the next billing cycle which begins on the first of each month. If the Company has your Device deactivated, there may be a charge to reactivate it if you later decide to use it again. Once your Account has been terminated, we no longer have any obligation to maintain or provide Your Data, and we may delete or destroy all copies of Your Data in our possession or control, unless legally prohibited. 2.2.1 Return Exceptions. Merchandise that has been opened, used, or altered will not be accepted for return or exchange. Damaged or incorrect emblem adhesives may be replaced at our discretion without the need for return shipping of the original part(s). If a shipping error on our part is made or defective parts are shipped, they will be replaced free-of-charge. 2.2.2 Exchanges. If you ordered the wrong emblem or requested an incorrect part number, we will credit the purchase you made and ship you the correct item for the difference in price from the original part, plus shipping & handling. 3.1 Intellectual Property Rights; Title. For purposes of this Agreement, “Intellectual Property Rights” means any and all rights existing from time to time under patent law, copyright law, semiconductor chip protection law, moral rights law, trade secret law, trademark law, unfair competition law, publicity rights law, privacy rights law, and any and all other proprietary rights, and any and all applications, renewals, extensions and restorations thereof, now or hereafter in force and effect worldwide. Customer acknowledges that all right, title and interest, including without limitation all Intellectual Property Rights in and to the Service, remain in Company and/or its third party licensors and suppliers, and that Customer shall not acquire any right, title, or interest in or to the Service, except as expressly set forth in this Agreement. 3.2 Restricted Use. Except as otherwise expressly provided in this Agreement, Customer has no right to transfer, sublicense or otherwise distribute the Product or Images, in whole or in part, to any third party. Customer agrees not to, or to allow others to: (i) adapt, alter, modify, decompile, translate, disassemble, or reverse engineer the Product or create any derivative works based on the Product, Documentation or any component thereof, including without limitation, the source code and any other underlying ideas or algorithms of the Software or Graphic User Interface; (ii) copy the Software or Documentation except as provided in Sections 2.1 and 4; (iii) use the Service for High Risk Activities as defined below; (iv) violate any local, state, federal law, regulation or convention applicable to Customer in connection with the use of the Product, or use the Product to do anything unlawful, misleading, malicious, or discriminatory; (v) transfer, sublicense, loan, sell, lease or use for timesharing or service bureau purposes the Product or any component thereof; or (vi) ship, divert, transship, transfer, export or re-export the Products or any component thereof into any country or use it in any manner prohibited by any export control laws, restrictions, or regulations administered by the U.S. Commerce Department’s Bureau of Export Administration, the U.S. Department of Treasury’s Office of Foreign Assets Control or any other applicable government agency. For the avoidance of doubt, nothing in this Agreement grants to Customer any rights whatsoever in or relating to the source code of the Software. 4.1 Technical Support Services (“TSS”). Company shall provide TSS for the Product and Services during the Customer’s Term of Service. All TSS shall be handled remotely by phone and email only. Company does not provide on-site TSS. TSS shall include: (i) Hardware installation guidance, consulting and troubleshooting; (ii) Software, specifically use of the Company Service; (iii) configuration of the Web Services Interface. While Company will perform best-effort TSS, Customer acknowledges that issues related to Customer’s: (i) computer skills; (ii) Internet connection; (iii) network; and (iv) computer systems may cause TSS to be incomplete at no fault of Company. 4.2 Data Retention. The data sent by the ELD interpreter is considered property of the Customer, including messages, statuses, GPS location, speed, heading, sensor and all other transmissions as relates to the tracking and messaging of the Customer’s vehicle(s) or driver(s). Company will store this data for use in Company for 180 days. The Customer may change this data retention period, either increasing or decreasing the storage period, by contact Company. Company will charge the Customer additional fees for an increase in the data retention period. When a vehicle is cancelled or deactivated, Company will delete all data associated with this vehicle. Once Customer data is deleted, there is no possibility of recovery of the data. The Customer should, at their own volition and expense, download and archive the data during the data retention period as needed. PAYMENT. Customer shall remit to Company all fees stated on the Order Confirmation Form including fees associated with: (i) monthly usage; (ii) setup; (iii) shipping and handling; (iv) Hardware; (v) Web User; (vi) taxes; (vii) miscellaneous fees. 100% of the Hardware fee is due in advance. Recurring fees are billed in advance beginning at the time the hardware is shipped. Customer agrees to pay for the Services by a valid credit or debit card or such other method as we expressly approve. If customer give us a credit or debit card number, Customer are authorizing us to charge it for the Services and all amounts due under this Agreement without further notice to Customer. If Customer’s credit or debit card provider refuses a charge, the Services can be terminated or suspended without notice. Customer agrees that we may not recognize any restrictive language that may be included with or on any method of payment, including (without limitation) the use on checks of the statement “payment in full.” All return checks are subject to our current check return charge. Customer assumes exclusive liability for any and all taxes, tariffs, fees, duties, withholdings or like charges, whether domestic or foreign now imposed or hereafter becoming effective related to the Services or Device or its components, (other than those based on our net income) including, without limitation, all federal, provincial, state and local taxes, as well as all value-added, goods and services, stamp documentary, excise and property taxes and duties. Payments not received within 30 days of any applicable due date are past due and we, in our sole discretion, may apply a late monthly charge of 1.5% per month (or the maximum legal rate, if less) on the unpaid balance. Customer agrees to pay all costs and expenses of every kind for collection of past due amounts, including court costs and attorney fees. GOVERNMENT RESTRICTED RIGHTS. The Product is commercial within the meaning of the applicable civilian and military Federal acquisition regulations and any supplement thereto. If the user of the Product is an agency, department, employee, or other entity of the United States Government, the use, duplication, reproduction, release, modification, disclosure, or transfer of the Product, including technical data or manuals, is restricted by the terms, conditions and covenants contained in this Agreement. In accordance with Federal Acquisition Regulation 12.212 for civilian agencies and Defense Federal Acquisition Regulation Supplement 227.7202 for military agencies, the use of the Software is further restricted by this Agreement. 7.1 Wireless Service; Usability. Customer shall provide Company with vehicle travel region(s) which Company will use to select best cellular/satellite network based on coverage and affordability. Customer agrees that the Service will only function in real-time when the vehicle is within the operating range of the selected wireless network. COMPANY provides no warranty as to the availability of coverage of the selected wireless network. Customer acknowledges and agrees that the functionality of the Service is dependent upon and subject to the wireless transmission interruptions and limitations. Regarding pure satellite Service, the customer acknowledges that the Service will not function when not in direct line-of-sight view of the host receiving satellite. 7.2 GPS Coverage and Accuracy. The Global Positioning System is a constellation of satellites owned and operated by the United States Government. The accuracy of the location is generally accepted to be 100 meters; however, accuracy is typically better. Company cannot guarantee the accuracy of the GPS location but uses best practices to determine and report the most accurate location available from the GPS receiver located in the ELD interpreter. Many factors, not under direct control of Company, may affect the accuracy of the GPS location: (i) Location of ELD interpreter in the vehicle; (ii) signal blocking from surrounding terrain and buildings; (iii) signal disruption (jamming) from nearby government installations; (iv) interference due to a limited view of the GPS satellite constellation. Customer recognizes these factors and agrees to work with COMPANY to address any installation issues that might affect the performance of the ELD interpreter. 7.3 Limited Software Warranty. COMPANY warrants that if the Software fails to substantially conform to the specification in the Documentation, and if the nonconformity is reported in writing to COMPANY within 180 days of the purchase of this License, then COMPANY will, at its sole discretion, either remedy the nonconformity, or refund an amount equivalent to Customer’s last three(3) months of recurring monthly fees. In the event of a refund, the License shall terminate. EXCEPT FOR THE FOREGOING LIMITED WARRANTY, COMPANY MAKES NO WARRANTY OR REPRESENTATION RELATING TO THE SOFTWARE, THE DOCUMENTATION, OR THIS AGREEMENT. COMPANY DISCLAIMS AND EXCLUDES ANY AND ALL IMPLIED WARRANTIES OF MERCHANTABILITY OR FITNESS FOR A PARTICULAR PURPOSE. COMPANY DOES NOT WARRANT THAT THE SOFTWARE WILL MEET CUSTOMER’S REQUIREMENTS OR THAT THE SOFTWARE IS WITHOUT DEFECTS OR ERROR. 7.4 IFTA Report Disclaimer. 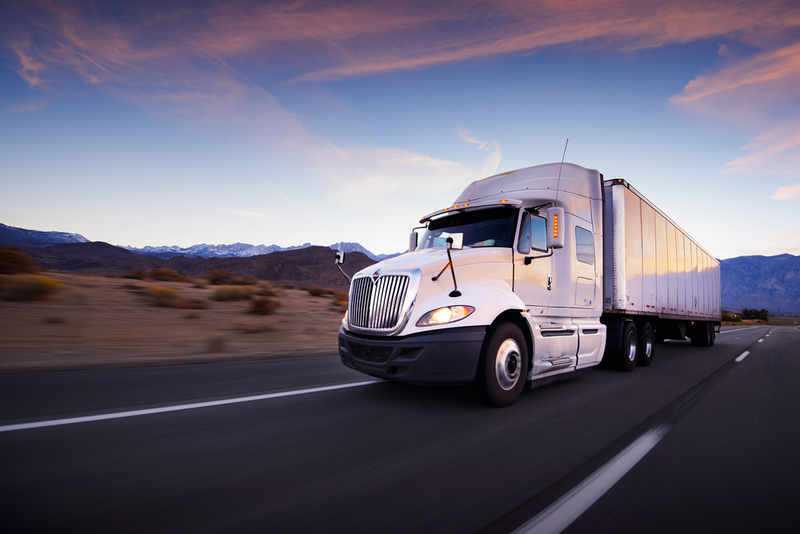 The Company relies on data supplied by the customer and third parties to calculate any IFTA Exempt Miles on their quarterly IFTA return, however, these reports are not guaranteed to be correct. All fuel information contained in the report is obtained from transaction information supplied by the customer. If the customer does not record all fuel transactions in Depot then the information provided will be incorrect. You accept responsibility to ensure the accuracy and the suitability of the reports generated by the Services before submitting them to any state or federal agency. We accept no responsibility or liability for any setbacks, financial or otherwise, incurred by using our Services. It is your sole responsibility to maintain compliance standards for IFTA filing purposes. 7.5 Limited Hardware Warranty. COMPANY warrants the Hardware for a period of one (1) year except where stated otherwise, beginning from the date of the Order Confirmation Form, provided that in the event of a Hardware failure, COMPANY shall repair or replace the same, per COMPANY ‘s discretion. Replacement Hardware may be the same product or a different product, per COMPANY ‘s discretion. Replacement Hardware may be used, new, or refurbished, per COMPANY ‘s discretion. This limited Hardware warranty shall not apply to any damage to the Hardware due to (a) to consumable parts, such as batteries, unless failure has occurred due to a defect in materials or workmanship; (b) to cosmetic damage, including but not limited to scratches, dents and broken plastic on ports; (c) to damage caused by use with another product; (d) to damage caused by accident, abuse, misuse, liquid contact, fire, earthquake or other external cause; (e) to damage caused by service (including upgrades and expansions) performed by anyone who is not a representative of COMPANY, or (f) to defects caused by normal wear and tear or otherwise due to the normal aging of the hardware. 7.6 Important Limitations of Our and Our Service Providers’ liability. These limitations of liability constitute waivers of important legal rights. In that regard, Customer acknowledges that these limitations are integral to the pricing of the Services, and that, were we or our service providers to assume any further liability other than as set forth herein, our prices for the Services would necessarily be substantially higher. Unless prohibited by applicable law, Customer agrees as follows: (1) Customer expressly agrees that operation and use of your device or the Services is at your sole risk. Neither we nor our service providers shall have any liability resulting from, or in any way related to, the use of your device or the Services. Customer agrees that you will not in any way hold us or our service providers responsible for any selection or retention of, or the acts or omissions of, other parties in connection the Services. Customer understands that you have no contractual relationship whatsoever with any of our service providers and are not a third party beneficiary of any Agreement between us and our service providers, although they may be third party beneficiaries of this Agreement. Customer waive any and all claims or demands you would have if you were a third party beneficiary of any Agreement between us and our service providers. (2) our and our service providers’ maximum, cumulative liability to you under any theory (including but not limited to fraud, misrepresentation, breach of contract, personal injury, or products liability) for any one or more related or unrelated claims is limited to an amount equal to three times what you paid for the Services under this Agreement as of the date of the earliest event giving rise to your claim(s). (3) neither we nor our service providers are liable to Customer if the Services are interrupted, or for problems caused by or contributed to by Customer, Customer’s vehicle (including its electrical system), by any third party, by buildings, hills, tunnels, telecommunications network congestion, weather, interference with satellite transmissions or any other things neither we nor our service providers control. Notwithstanding anything else in this Agreement, Customer agrees to excuse any non-performance by us or our service providers caused in whole or in part by an act or omission of a third party, or by any equipment failure, act of god, natural disaster, strike, equipment or facility shortage, or other causes beyond our control or the control of our service providers. (4) neither we nor our service providers can promise that any data or information supplied will be error-free. All data and information is provided to Customer on an “as is” basis. Customer agrees that neither we nor any service provider who monitors, processes, or sends or receives Customer data or information through your device or the Services is liable for any errors, defects, problems, or mistakes in that data or information. This means Customer cannot recovers any damages of any kind, including consequential (such as lost revenues or lost contracts), indirect, incidental, special, or punitive damages for those errors, defects, problems, or mistakes. (5) to provide Customer with the Services, we must enter into agreements with telecommunications carriers operating cellular and satellite networks and other service providers using technology compatible with the particular device you purchased. Neither we nor our service providers are liable if the Services become unavailable or are interrupted because a service provider terminates its agreement with us or stops providing service to us, or does anything that renders your device obsolete or incompatible with the technology used by us or any of our other service providers. (6) Customer agrees that the limitations of liability and indemnities in this Agreement will survive termination or expiration of this Agreement and apply to Customer as well as anyone using your vehicle or the Services, anyone making a claim on your behalf, and any claims made by anyone associated with you and arising out of or relating to the Services. (7) the Services are not a substitute for insurance. Customer promises that you will obtain and maintain appropriate insurance covering personal injury, loss of property, and other risks for yourself and for anyone else claiming under Customer. Customer hereby releases and discharges us and our service providers from and against all hazards covered by your insurance. No insurance company or insurer will have any right of subrogation against us or our service providers. 7.7 Sole Remedy. THE PROVISIONS OF SECTION 7 OF THIS AGREEMENT DEFINE THE SOLE AND EXCLUSIVE REMEDIES OF CUSTOMER. 8.1 No Transfer of the Services. The Services are not transferrable by Customer. If Customer intends to transfer ownership of a vehicle in which a Device is installed, Customer agrees that Customer will have the Device uninstalled from it or have the Device and associated Services deactivated/terminated by us and inform the intended transferee—prior to the transfer—of the fact Customer’s vehicle has its Device and advise the transferee to contact us with any questions. 8.2 Limitation of Use. For any COMPANY interactive Hardware requiring operator interaction including Email, Instant Messaging and other such services or products, Customer agrees not to use, or cause its use, the Hardware provided while operating the equipment in which the Product is installed. Said Hardware shall be used only when equipment is parked or in a mode not requiring the operator’s attention. Customer hereby holds harmless and shall indemnify COMPANY for any liability resulting from a breach of this limitation of use. 8.3 Limitation of Use for Public Safety. If the Customer is in the business of providing Public Safety (Police, Fire, EMS and Ambulance services), the Customer agrees to use the Products and Services only as a supplement to Computer Aided Dispatch services designed for Public Safety. The Customer further agrees that the Products and Services are for commercial asset tracking and not designed for critical, life-threatening, or other Public Safety uses. The Customer agrees NOT to rely on Products and Services for critical, life-threatening, or other highly dangerous Public Safety functions. 8.4 Breach of this Agreement. Customer agrees to indemnify and hold us and our parent corporation, affiliates, subsidiaries, employees, agents, and service providers harmless from and against any and all claims, demands, actions, causes of action, suits, proceedings, losses, damages, costs and expenses, including reasonable attorneys’ fees, arising from or relating to your use of the Services, breach of this Agreement, or any act, error, or omission on your part or that of anyone who uses the Services. This provision will continue to apply after the termination or cancellation of this Agreement. 8.6 Governing Law. This Agreement is made under and shall be governed, construed and interpreted by and in accordance with the internal laws of the State of California, without regard to conflicts of laws principles. The exclusive venue for any legal proceedings arising in connection with this Agreement shall be the state or federal courts located in Los Angeles County, California. 8.7 Changes. COMPANY may amend the terms of this Agreement upon written notice to Customer. If Customer does not agree to the amendment, Customer may terminate this Agreement by providing written notice to COMPANY within fifteen (15) days of the date the notice was mailed by COMPANY via certified US mail. If Customer does not agree with the amendment but wants to continue Services, COMPANY will continue to provide Services for the term of the original Agreement provided Customer mails written notice to COMPANY within fifteen (15) days of the date the amendment was mailed by COMPANY. If Customer continues to use the Services more than fifteen (15) days after COMPANY mails notice of an amendment, Customer will be deemed to have agreed to that amendment. 8.8 Miscellaneous. If any part of this Agreement is considered invalid by a court or arbitrator, the rest of it will remain enforceable. Even after this Agreement has ended, its provisions will govern any disputes arising out of or relating to it (unless it has been replaced by changes to it that are issued by us or a new agreement between us). It will also be binding on your heirs and successors and on our successors. No waiver of any part of this Agreement, or of any breach of it, in any one instance will require us to waive any other instance or breach. Customer agrees that the limitations on remedies, limitations and exclusions of liability and disclaimers specified in this Agreement will survive its termination. We reserve the right to assign this Agreement and our rights and obligations under it, whether in whole or in part. If we make an assignment, we will have no further obligations to you. 8.9 Entire Agreement. This Agreement represents the entire agreement between COMPANY and the Customer. No distributor, employee, or other person is authorized by COMPANY to modify this Agreement or to make any warranty or representation, which is different than, or in addition to, the warranties and representations of this Agreement.